A few years back I took some pictures of canoeists and kayakers participating in the Stour Descent, and was thinking about going down to Dorset tomorrow to take some photos of the 2012 race. 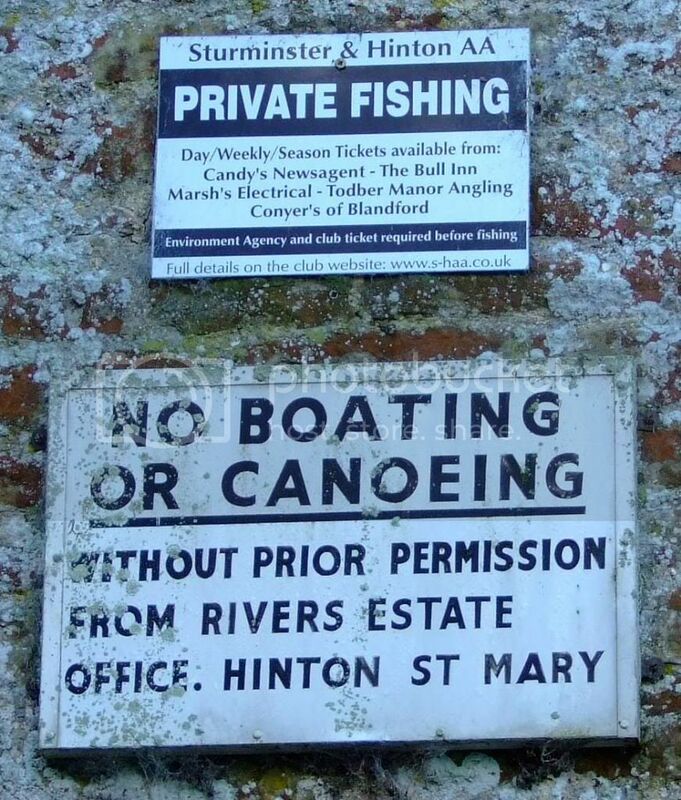 Reading around online in background to the area tonight, it would appear that this is yet another river where angling interests believe that local land ownership equates to control of navigation rights. Note that the annual Stour Descent canoe race will take place on Sunday 2nd December, starting at Stur Mill at 1100. Also there will be a 'recce run' by a few canoes on Thursday 29th November. These paddling activities are two of the very few authorized by the Hinton Estate, another one being the sessions run by Keith Harrison on Wednesdays and Saturdays. If members see any others please report them via the 'Contacts' tab on the left of this page. Most people will think of the Oxford Museum when they read the name Pitt-Rivers, but this landed family, who have owned the Hinton Estate for a 'few' years, appear to be struggling with the fact that the 16th Century did not see the removal of earlier statutory recognition of the right to navigate inland waterways. One for the video. One to paddle soon!